The cover of Robert C. Allen’s “Horrible Prettiness”. 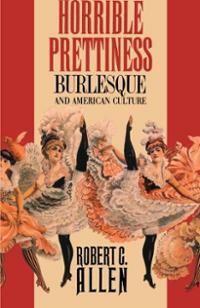 One of the best books to chronicle the cultural and “feminist” impact of cross-dressing in 19th century musical theater had is Robert C. Allen’s Horrible Prettiness: Burlesque and American Culture. Yes, it doesn’t directly deal with operettas or opéra-bouffes, but the burlesque titles in question are very similar to early operetta. Kurt Gänzl, author of the Encyclopedia of the Musical Theatre, calles burlesque “a child of opéra bouffe and the spectacle muse“. He describes the difference between the genres thus: operettas tell stories with newly composed music, bureslques use already existing music. The stories they tell – and how they tell them – are very similar, though. As a result, it’s not surprising, that many stars of the operetta scene were also stars of burlesque, and vice versa. The most famous example is Lydia Thompson, of course. 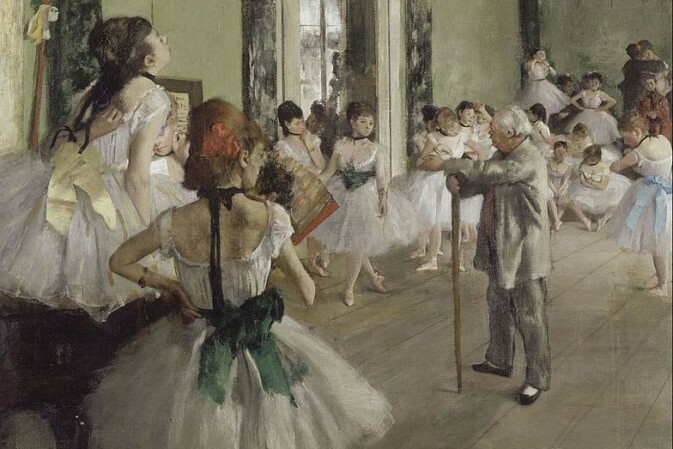 She and her troupe of British Blondes stand at the center of Allen’s book. Reading about Thompson performing Ixion, a parody of Classical Greek Antiquity, where all the male roles are taken by female actors and the one female role is played by a man, and reading about the audience and press reactions to this show, you eaasily understand the impact early operetta had. (Thompson’s Ixion tour of the USA was the most successful theater tour the country had ever seen.) 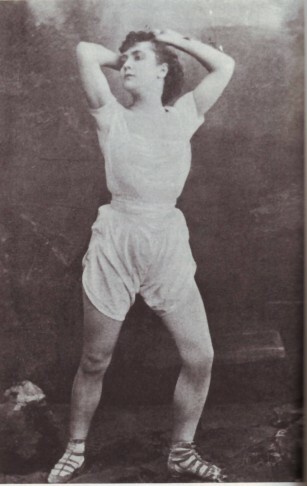 “The eccentricities of pantomime and burlesque – with their curious combination of comedy, parody, satire, improvisation, song and dance, variety acts, cross-dressing, extravagant stage effects, risqué jokes and saucy costumes – while familiar enough to British audiences, took New York by storm,” notes a Thompson scholar. And that description fits early operetta as well, to a t.
What makes Allen’s book so enjoyable is the fact that he extensively quotes from historical newspaper articles, showing how 19th century audiences and critics themselves reacted to these spectacles. It’s a standard most operetta researchers have not yet adapted. It would make the big bang that operettas caused back in the 1850s, 60s and 70s much more understandable if we, today, could read the original reactions too, instead of – only – modern-day evaluations. Allen’s discussion of burlesque as a “liberating” genre and a forerunner of emancipation gives us many cues for a stimulating discussion of operetta, and of women acting in operetta, now and then. It’s a fascinating read. 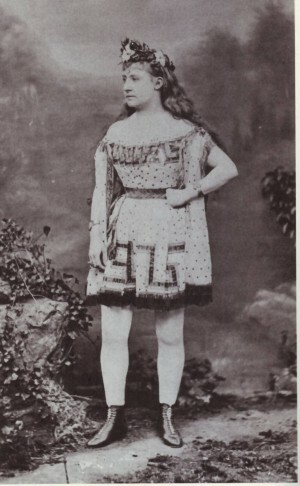 And, if you want to know more about Lyida Thompson, who was also the star of various Offenbach shows, then you may enjoy Kurt Gänzl’s biography of the diva. It certainly is no coincidence that an operetta man like Gänzl wrote so extensively about this burlesque diva. 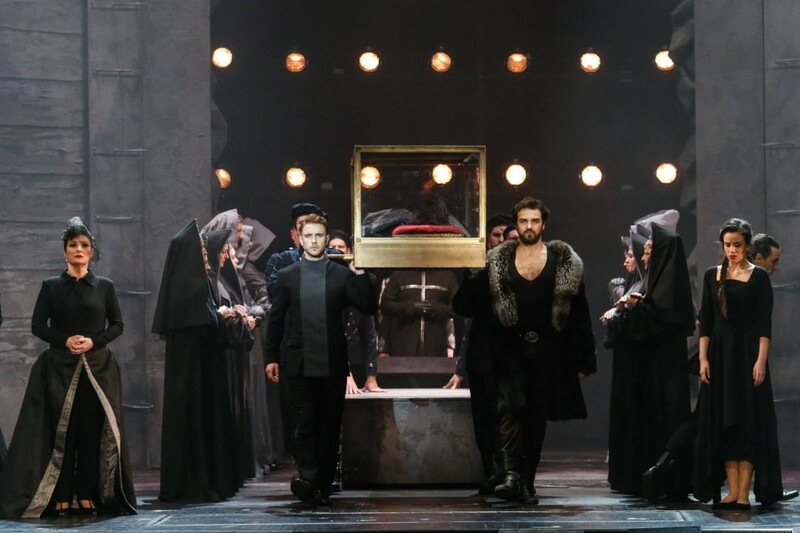 By the way, the University of Vienna offered a course in Gender & Operetta in the winter of 2013/14 and was thus the first academic institution to adress operetta in combination with Queer Studies and Gay & Lesbian Studies. Also, the Ohio Light Opera Festival will dedicate a talk to this topic at their first international operetta conference in the summer of 2014.